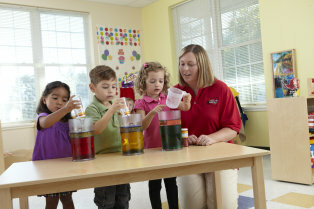 How can you be certain that the preschool you're considering is right for your particular child? No longer just a place to learn how to play and have fun with other kids, modern preschool is now an important part of a child's education, building a foundation for developing skills that lead to later school success. • Does the preschool program provide curriculum-based education and enrichment activities? Developmentally-appropriate academic programs prepare children to be lifelong learners. • How does the facility help to prepare your child so that he or she will meet state standards upon entering elementary school? • Evaluate the arts program. Are the projects child-driven? Are students given materials with freedom to be creative in constructing the end result, thus expressing themselves through art? • Review the physical fitness plan. Does the center provide activities that focus on health and fitness? • How is technology integrated into lessons? Today's best preschools offer multiple ways to utilize computers and technology to enhance learning experiences. • Does the center offer your child a variety of ways to interact with other children throughout the day? By exposing your child to a range of participation formats—independent, small group and large group—your child becomes a more well-rounded individual, better prepared for kindergarten and beyond. If you're choosing between several options, give some serious thought to how each preschool approaches the topics above. Once you've done your research thoroughly you'll have what it takes to make an informed decision that's right for your family. 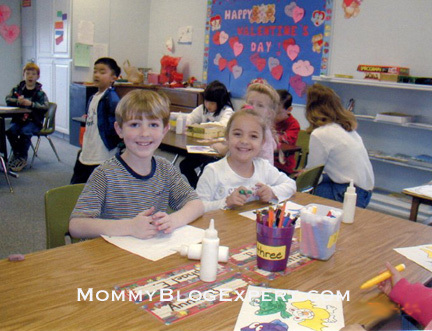 For more education and parenting tips, visit the Kiddie Academy Family Blog. Preschool is really an important part of a child's education. This helps in building a foundation for developing skills that lead to later school success. That is why parents should choose a right preschool. Today kindergarten has become the stepping stone to school life. A child must be prepared for it to tackle school life effectively. So not just the academic but the social and mental development must also be developed in the initial stages itself. Yes! I agree that preschool is really important part of child's education. Thanks s for sharing those tips on how to choose a preschool. This will really help parents. I do love the practicality of your advice. I have two kiddos for about a year gap. It's never really easy. I never trusted nanny before and now I already got nanny, but during office hours the nanny should stay at preschool centers with the kids. Better bring them at school than having stuck at home without learning something.